DEOPIYU INDUSTRIES produces through several stages of process as follows. Plan to purchase raw materials : We make a well plan to purchase raw materials for timely production and delivery of dyestuffs. 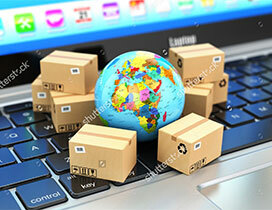 In particular, we prepare overseas purchase six months in advance. 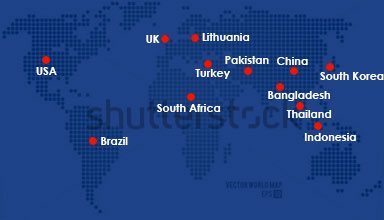 Our business team and overseas sales department operate purchase systems systematically in accordance with the procedure stipulated in ISO 9001:2015 quality-management system(TUV Certified) procedure for assessing managing materials-supplier), and also forecast market fluctuations accurately based on their long experience and various technology-information and secure necessary raw materials in time. 2. Raw materials purchase: Since product quality is much influenced by its materials, we manage thoroughly the whole purchase process such as selection of quality-materials & suppliers, ordering, follow-up on shipping and transportation and warehousing, etc. Imports inspection : A materials-inspection prior to processing aims to identify the characteristics accurately. The inspection team of the quality management-department inspects materials thoroughly according to ISO-9001 Inspection procedure manual, with the result of which, if necessary, all the technicians concerned review whether to change the synthesizing recipe or not. 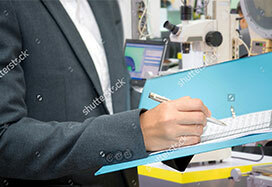 In-putting : According to the synthesizing recipe, an appropriate quantity of materials are put in the process, And meters and measuring instruments & apparatus are regularly inspected and corrected according to the ISO-9001 Inspection equipment-management procedure manual so as to be minimized errors. Synthesizing : To maintain the optimum reaction conditions at every reaction stage, the engineers of experience for 5 years up in production team 1 control the whole synthesizing stages to perform synthesizing-work according to ISO-9001 Production-management procedure manual ISO-9001 Process-management procedure manual, ISO-9001 equipment management procedure manual, and related detailed guide. Process inspection: To maintain the primary product after synthesizing in best quality, the inspection team in the quality-management department makes strict inspections of 5 focused items and assesses them to determine whether to be good or not. Drying : The spray-drying facilities with the care of production team 2 are the symbol of our environment-friendly equipment which is the largest in its kind in India, and therewith we are proud of the best technical skill in drying into particles. Blending: The skilled technicians of production team 3 sort out good homogeneous materials by group and manufacture them into products so as to result in the optimum matching & combinations. Final Inspection : The inspection team of the quality management department collects samples from all manufactured items by lot to compare with the standard samples through the spectrophotometer and dyeing test, and thereby in case their coloring, penetration, fastness, etc. fall within the minimum allowable limits of error, the manufactured items shall be allowed to be packaged as final products. 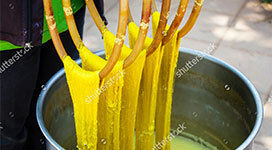 Therefore, our dyestuffs are always reliable without any lot difference irrespective of the manufacture time. Package: The Pe-drum, which is designed for the exclusive use in DEOPIYU dyestuff, is an environment-friendly vessel and recyclable. It has an elegant shape and can safely store dyestuffs. 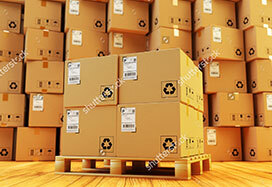 Also we provide the automatic packing service for small quantity for the convenience of customers. Storage, Delivery : To transport our product safely to where customers want in the shortest possible time, in addition to the product warehouse in plant. Through these warehouses, we treat, store and deliver DEOPIYU INDUSTRIES dyestuffs according to standard methods stipulated in product management procedure manual (ISO-9001), and systematically keep all relevant records of all products delivered to customers according to the product marking & identification and traceability management procedure manual (ISO-9001).